ABSTRACT: Effective therapeutic options for patients living with chronic pain are limited. The pain relieving effect of cannabinoids remains unclear. A systematic review of randomized controlled trials (RCTs) examining cannabinoids in the treatment of chronic non-cancer pain was conducted according to the PRISMA statement update on the QUORUM guidelines for reporting systematic reviews that evaluate health care interventions. Cannabinoids studied included smoked cannabis, oromucosal extracts of cannabis based medicine, nabilone, dronabinol and a novel THC analogue. 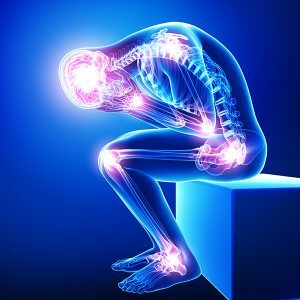 Chronic non-cancer pain conditions included neuropathic pain, fibromyalgia, rheumatoid arthritis, and mixed chronic pain. Overall the quality of trials was excellent. Fifteen of the eighteen trials that met the inclusion criteria demonstrated a significant analgesic effect of cannabinoid as compared with placebo and several reported significant improvements in sleep. There were no serious adverse effects. 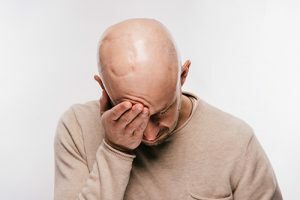 Adverse effects most commonly reported were generally well tolerated, mild to moderate in severity and led to withdrawal from the studies in only a few cases. Overall there is evidence that cannabinoids are safe and modestly effective in neuropathic pain with preliminary evidence of efficacy in fibromyalgia and rheumatoid arthritis. 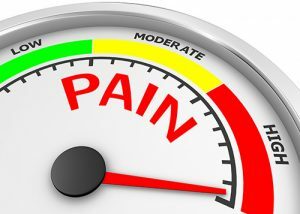 The context of the need for additional treatments for chronic pain is reviewed. Further large studies of longer duration examining specific cannabinoids in homogeneous populations are required. 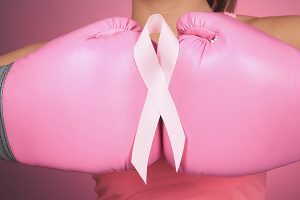 ABSTRACT: Invasion and metastasis of aggressive breast cancer cells are the final and fatal steps during cancer progression. 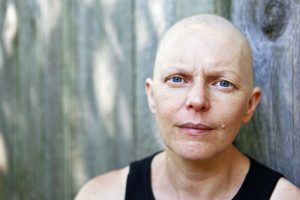 Clinically, there are still limited therapeutic interventions for aggressive and metastatic breast cancers available. Therefore, effective, targeted, and non-toxic therapies are urgently required. Id-1, an inhibitor of basic helix-loop-helix transcription factors, has recently been shown to be a key regulator of the metastatic potential of breast and additional cancers. We previously reported that cannabidiol (CBD), a cannabinoid with a low toxicity pro-file, down-regulated Id-1 gene expression in aggressive human breast cancer cells in culture. Using cell proliferation and invasion assays, cell flow cytometry to examine cell cycle and the formation of reactive oxygen species, and Western analysis, we determined pathways leading to the down-regulation of Id-1 expression by CBD and consequently to the inhibition of the proliferative and invasive phenotype of human breast cancer cells. Then, using the mouse 4T1 mammary tumor cell line and the ranksum test, two different syngeneic models of tumor metastasis to the lungs were chosen to determine whether treatment with CBD would reduce metastasis in vivo. We show that CBD inhibits human breast cancer cell proliferation and invasion through differential modulation of the extracellular signal-regulated kinase (ERK) and reactive oxygen species (ROS) pathways, and that both pathways lead to down-regulation of Id-1 expression. Moreover, we demonstrate that CBD up-regulates the pro-differentiation factor, Id-2. Using immune competent mice, we then show that treatment with CBD significantly reduces primary tumor mass as well as the size and number of lung metastatic foci in two models of metastasis. Our data demonstrate the efficacy of CBD in pre-clinical models of breast cancer. The results have the potential to lead to the development of novel non-toxic compounds for the treatment of breast cancer metastasis, and the information gained from these experiments broaden our knowledge of both Id-1 and cannabinoid biology as it pertains to cancer progression. ABSTRACT: Δ9-Tetrahydrocannabinol (THC) is the active metabolite of cannabis. THC causes cell death in vitro through the activation of complex signal transduction pathways. However, the role that the cannabinoid 1 and 2 receptors (CB1-R and CB2-R) play in this process is less clear. We therefore investigated the role of the CB-Rs in mediating apoptosis in 3 leukemic cell lines and performed microarray and immunoblot analyses to establish further the mechanism of cell death. We developed a novel flow cytometric technique of measuring the expression of functional receptors and used combinations of selective CB1-R and CB2-R antagonists and agonists to determine their individual roles in this process. We have shown that THC is a potent inducer of apoptosis, even at 1 × IC50 (inhibitory concentration 50%) concentrations and as early as 6 hours after exposure to the drug. 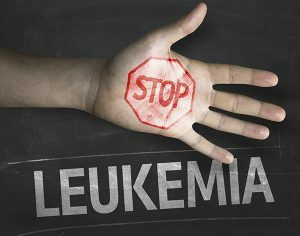 These effects were seen in leukemic cell lines (CEM, HEL-92, and HL60) as well as in peripheral blood mononuclear cells. Additionally, THC did not appear to act synergistically with cytotoxic agents such as cisplatin. One of the most intriguing findings was that THC-induced cell death was preceded by significant changes in the expression of genes involved in the mitogen-activated protein kinase (MAPK) signal transduction pathways. Both apoptosis and gene expression changes were altered independent of p53 and the CB-Rs. ABSTRACT: Objective: To quantify the antiemetic efficacy and adverse effects of cannabis used for sickness induced by chemotherapy. Results: Cannabinoids were more effective antiemetics than prochlorperazine, metoclopramide, chlorpromazine, thiethylperazine, haloperidol, domperidone, or alizapride: relative risk 1.38 (95% confidence interval 1.18 to 1.62), number needed to treat 6 for complete control of nausea; 1.28 (1.08 to 1.51), NNT 8 for complete control of vomiting. Cannabinoids were not more effective in patients receiving very low or very high emetogenic chemotherapy. In crossover trials, patients preferred cannabinoids for future chemotherapy cycles: 2.39 (2.05 to 2.78), NNT 3. Some potentially beneficial side effects occurred more often with cannabinoids: “high” 10.6 (6.86 to 16.5), NNT 3; sedation or drowsiness 1.66 (1.46 to 1.89), NNT 5; euphoria 12.5 (3.00 to 52.1), NNT 7. ABSTRACT: Background: Despite several lines of evidence suggesting the biological plausibility of marijuana being carcinogenic, epidemiologic findings are inconsistent. 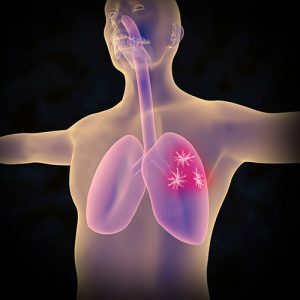 We conducted a population-based case-control study of the association between marijuana use and the risk of lung and upper aerodigestive tract cancers in Los Angeles. Methods: Our study included 1,212 incident cancer cases and 1,040 cancer-free controls matched to cases on age, gender, and neighborhood. Subjects were interviewed with a standardized questionnaire. The cumulative use of marijuana was expressed in joint-years, where 1 joint-year is equivalent to smoking one joint per day for 1 year. Results: Although using marijuana for ≥30 joint-years was positively associated in the crude analyses with each cancer type (except pharyngeal cancer), no positive associations were observed when adjusting for several confounders including cigarette smoking. The adjusted odds ratio estimate (and 95% confidence limits) for ≥60 versus 0 joint-years was 1.1 (0.56, 2.1) for oral cancer, 0.84 (0.28, 2.5) for laryngeal cancer, and 0.62 (0.32, 1.2) for lung cancer; the adjusted odds ratio estimate for ≥30 versus 0 joint-years was 0.57 (0.20, 1.6) for pharyngeal cancer, and 0.53 (0.22, 1.3) for esophageal cancer. No association was consistently monotonic across exposure categories, and restriction to subjects who never smoked cigarettes yielded similar findings. ABSTRACT: The purpose of this retrospective cohort study was to examine the relationship of marijuana use to cancer incidence. The study population consisted of 64,855 examinees in the Kaiser Permanente multiphasic health checkup in San Francisco and Oakland (California, United States), between1979-85, aged 15 to 49 years, who completed self-administered questionnaires about smoking habits, including marijuana use. Follow-up for cancer incidence was conducted through 1993 (mean length 8.6 years). Compared with nonusers/experimenters (lifetime use of less than seven times), ever- and current use of marijuana were not associated with increased risk of cancer of all sites (relative risk [RR] = 0.9, 95 percent confidence interval [CI] =0.7-1.2 for ever-use in men; RR = 1.0, CI = 0.8-1.1 in women) in analyses adjusted for sociodemographic factors, cigarette smoking, and alcohol use. Marijuana use also was not associated with tobacco-related cancers or with cancer of the following sites: colo-rectal, lung, melanoma, prostate, breast, cervix. Among nonsmokers of tobacco cigarettes, ever having used marijuana was associated with increased risk of prostate cancer (RR = 3.1, CI =1.0-9.5) and nearly significantly increased risk of cervical cancer (RR =1.4, CI = 1.0-2.1). We conclude that, in this relatively young study cohort, marijuana use and cancer were not associated in overall analyses, but that associations in nonsmokers of tobacco cigarettes suggested that marijuana use might affect certain site-specific cancer risks. ABSTRACT: In 1999 the Institute of Medicine (IOM) issued a report entitled Marijuana and Medicine (Joy, Watson and Benson, 1999). It recommended the development of cannabinoid drug delivery systems which might be effective for nausea, vomiting and AIDS wasting syndrome, among other chronic disorders. 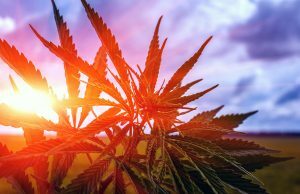 The report went on to recognize that patients should be allowed to smoke marijuana if they failed to achieve relief from approved symptoms that could be relieved by cannabinoid drugs with rapid onset. Recommended criteria of the report included: access to marijuana within 24 hours of submission by a physician, supervision that allows for assessment of treatment effectiveness, and an oversight strategy comparable to an institutional review board. In this context a review of previously unpublished state-run clinical trials with Cannabis sativa (marijuana and/ or δ9-tetrahydrocannabinol capsules) to test efficacy in reducing nausea and vomiting following cancer chemotherapy is warranted. The impetus for these studies came from individual state legislatures responding to constituents’ claims that smoking marijuana reduced or blocked nausea and vomiting. AUTHORS: ALFRED E. CHANG, M.D. ; DAVID J. SHILING, M.D. ; RICHARD C. STILLMAN, M.D. ; NELSON H. GOLDBERG, M.D. ; CLAUDIA A. SEIPP, R.N. ; IVAN BAROFSKY, Ph.D.; RICHARD M. SIMON, Ph.D.; and STEVEN A. ROSENBERG, M.D., Ph.D.
ABSTRACT: Fifteen patients with osteogenic sarcoma receiving high dose methotrexate chemotherapy were studied in a randomized, double-blind, placebo-controlled trial of oral and smoked delta-9-tetrahydrocannabinol (THC) as an antiemetic. Each patient served as his or her own control. Fourteen of 15 patients had a reduction in nausea and vomiting on THC as compared to placebo. Delta-9- tetrahydrocannabinol was significantly more effective than placebo in reducing the number of vomiting and retching episodes, degree of nausea, duration of nausea, and volume of emesis (P < 0.001). 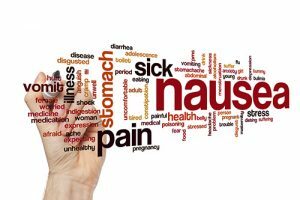 There was a 72% incidence of nausea and vomiting on placebo. When plasma THC concentrations measured < 5.0 ng/mL, 5.0 to 10.0 ng/mL, and > 10.0 ng/mL, the incidences of nausea and vomiting were 44%, 21%, and 6%, respectively. Delta-9-tetrahydrocannabinol appears to have significant antiemetic properties when compared with placebo in patients receiving high-dose methotrexate. ABSTRACT: This paper aims to evaluate the anti-emetic efficacy of cannabinoids in cancer patients receiving chemotherapy using a systematic review of literature searched within electronic databases such as PUBMED, EMBASE, PSYCINFO, LILACS, and ‘The Cochrane Collaboration Controlled Trials Register’. Studies chosen were randomized clinical trials comprising all publications of each database until December 2006. From 12 749 initially identified papers, 30 fulfilled the inclusion criteria for this review, with demonstration of superiority of the anti-emetic efficacy of cannabinoids compared with conventional drugs and placebo. The adverse effects were more intense and occurred more often among patients who used cannabinoids. Five meta-analyses were carried out: (1) dronabinol versus placebo [n = 185; relative risk (RR) = 0.47; confidence interval (CI) = 0.19–1.16]; (2) Dronabinol versus neuroleptics [n = 325; RR = 0.67; CI = 0.47–0.96; number needed to treat (NNT) = 3.4]; (3) nabilone versus neuroleptics (n = 277; RR = 0.88; CI = 0.72–1.08); (4) levonantradol versus neuroleptics (n = 194; RR = 0.94; CI = 0.75–1.18); and (5) patients’ preference for cannabis or other drugs (n = 1138; RR = 0.33; CI = 0.24–0.44; NNT = 1.8). The superiority of the anti-emetic efficacy of cannabinoids was demonstrated through meta-analysis. • Orally administered synthetic cannabinoids (nabilone and dronabinol) have been shown to be superior to dopamine receptor antagonists in preventing chemotherapy-induced nausea and vomiting (CINV). There is no information on the tolerability of an acute dose titration of a whole-plant cannabis-based medicine (CBM). The efficacy of cannibidiol with tetrahydrocannabinol added to the current standard therapy in the control of CINV after moderately emetic cancer chemotherapy (MEC) administration has not been established. RESULTS Seven patients were randomized to CBM and nine to placebo. Only one patient in the CBM arm was withdrawn due to AEs. A higher proportion of patients in the CBM group experienced a complete response during the overall observation period [5/7 (71.4%) with CMB vs. 2/9 (22.2%) with placebo, the difference being 49.2% (95% CI 1%, 75%)], due to the delayed period. The incidence of AEs was higher in the CBM group (86% vs. 67%). No serious AEs were reported. The mean daily dose was 4.8 sprays in both groups. CONCLUSION Compared with placebo, CBM added to standard antiemetic therapy was well tolerated and provided better protection against delayed CINV. These results should be confirmed in a phase III clinical trial. ABSTRACT: Our data demonstrate the efficacy of CBD in pre-clinical models of breast cancer. The results have the potential to lead to the development of novel non-toxic compounds for the treatment of breast cancer metastasis, and the information gained from these experiments broaden our knowledge of both Id-1 and cannabinoid biology as it pertains to cancer progression. 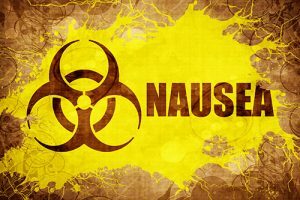 ABSTRACT: Despite progress in anti-emetic treatment, many patients still suffer from chemotherapy-induced nausea and vomiting (CINV). This is a pilot, randomized, double-blind, placebo-controlled phase II clinical trial designed to evaluate the tolerability, preliminary efficacy, and pharmacokinetics of an acute dose titration of a whole-plant cannabis-based medicine (CBM) containing delta-9-tetrahydrocannabinol and cannabidiol, taken in conjunction with standard therapies in the control of CINV. 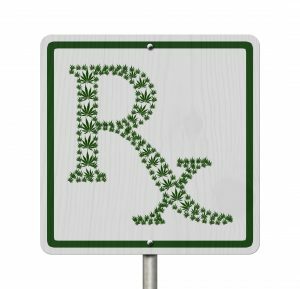 ​ABSTRACT: This study compared the efﬁcacy of a tetrahydrocannabinol: cannabidiol (THC:CBD) extract, a nonopioid analgesic endocannabinoid system modulator, and a THC extract, with placebo, in relieving pain in patients with advanced cancer. Abstract – Background: Cancer is a major public health problem as the leading cause of death. 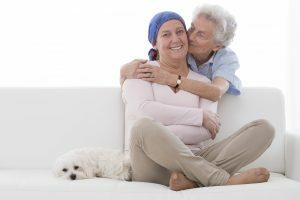 Palliative treatment aimed to alleviate pain and nausea in patients with advanced disease is a cornerstone of oncology. In 2007, the Israeli Ministry of Health began providing approvals for medical cannabis for the palliation of cancer symptoms. The aim of this study is to characterize the epidemiology of cancer patients receiving medical cannabis treatment and describe the safety and efficacy of this therapy. Methods: We analyzed the data routinely collected as part of the treatment program of 2970 cancer patients treated with medical cannabis between 2015 and 2017. Results: The average age was 59.5 ± 16.3 years, 54.6% women and 26.7% of the patients reported previous experience with cannabis. The most frequent types of cancer were: breast (20.7%), lung (13.6%), pancreatic (8.1%) and colorectal (7.9%) with 51.2% being at stage 4. 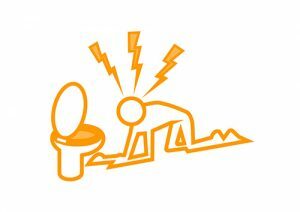 The main symptoms requiring therapy were: sleep problems (78.4%), pain (77.7%, median intensity 8/10), weakness (72.7%), nausea (64.6%) and lack of appetite (48.9%). After six months of follow up, 902 patients (24.9%) died and 682 (18.8%) stopped the treatment. Of the remaining, 1211 (60.6%) responded; 95.9% reported an improvement in their condition, 45 patients (3.7%) reported no change and four patients (0.3%) reported deterioration in their medical condition. Conclusions: Cannabis as a palliative treatment for cancer patients seems to be well tolerated, effective and safe option to help patients cope with the malignancy related symptoms.